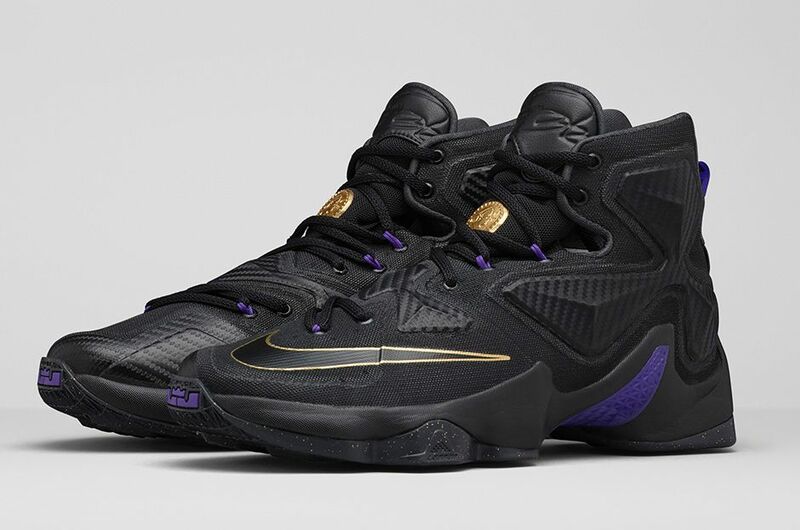 The latest LeBron James signature sneaker features a luxurious look in the Nike LeBron 13 ‘Pot of Gold’ colorway. 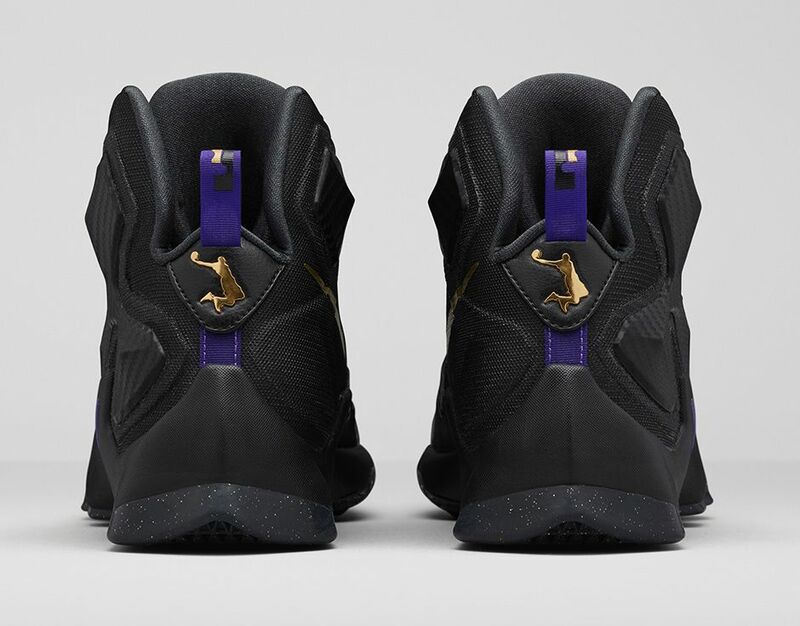 The shoe is inspired by LeBron’s work ethic leading to success, which is essentially the opposite of luck, which can be epitomized by finding a pot of gold. 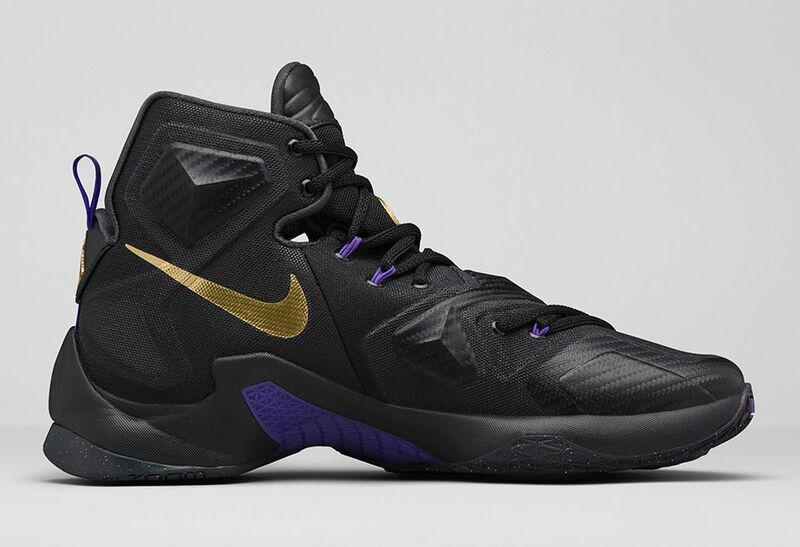 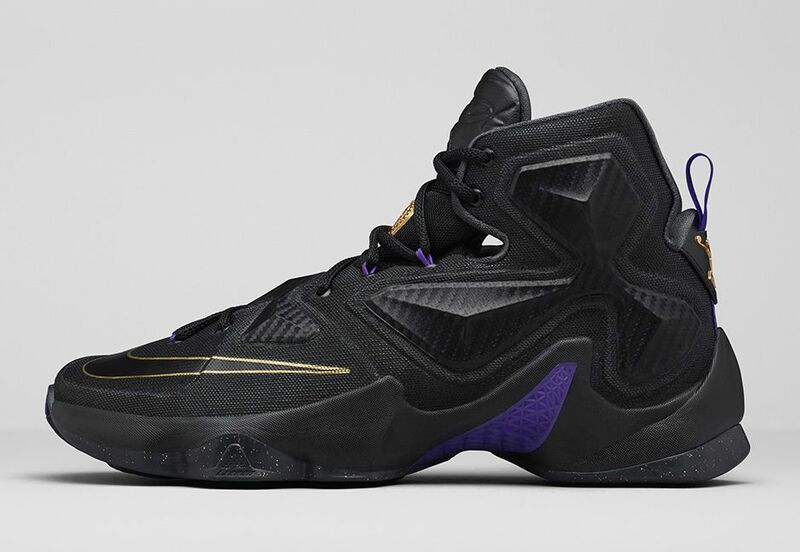 The colors looks similar to the LeBron 11 ‘Black History Month,’ which also featured black, purple and gold prominently on the shoe. 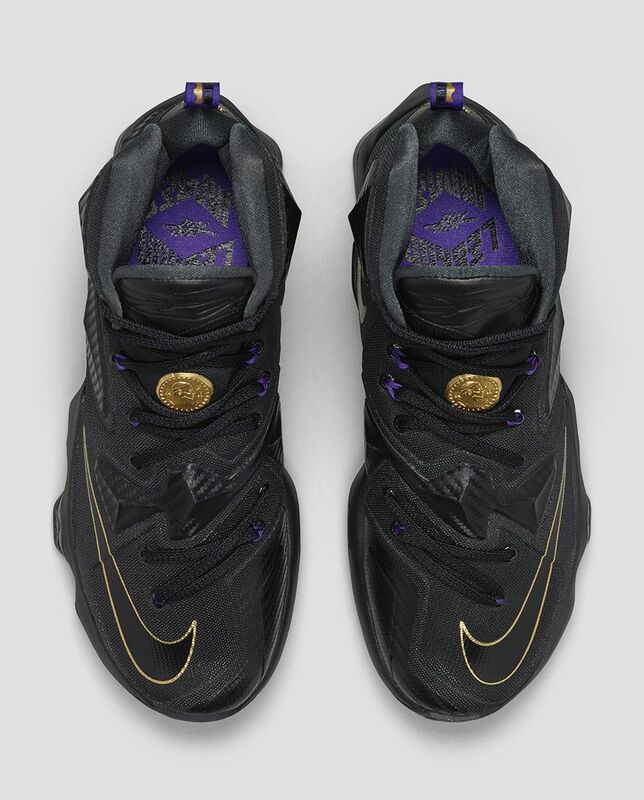 This LeBron 13 also stands out due to the Dunkman logo on the heels, which is usually associated with bright green colors. 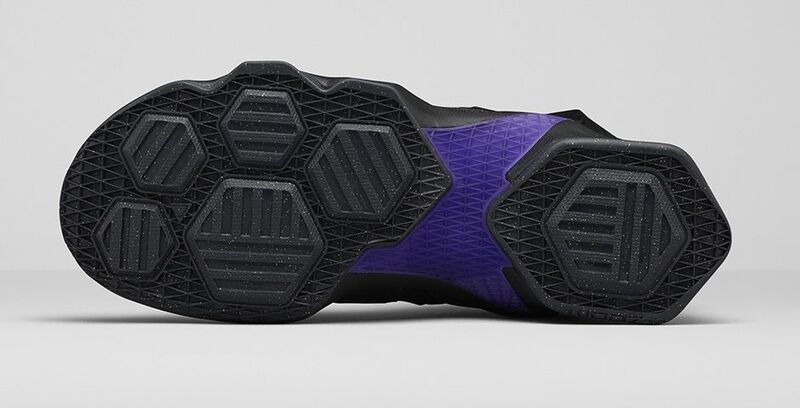 The eye-catching detail on this colorway is the carbon fiber look printed on the posite portions on the lateral area, as well as on near the laces.